Straight Line continues to move into the future and maintains a strong history of responding to customer needs. 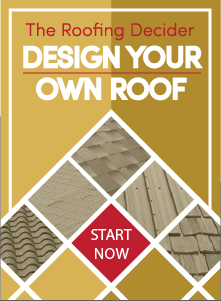 Historically known as a roofing company, Straight Line has continued to grow in size without sacrificing the vision to provide superior quality construction and excellent service. In addition to roofing, the company is licensed for a dozen other quality construction services: general building contractor, sheet metal, windows, insulation, gutters, siding, decking, painting, manufactured housing, solar, scaffolding, weatherization and energy efficiency. Known for quality, and a job done right the first time, Straight Line is applying their exceptional service to additional product lines, offering customers a single source for residential and commercial needs. In addition to roofing, Straight Line has become known for high quality window, deck, painting, construction services, and energy efficiency upgrades. Many firms subcontract out most aspects of the job which creates delays, lack of quality, and customer frustration. Many years ago Straight Line committed to providing quality services and accountability within one brand. The connection with their customers is very important to them – and their clients. Straight Line customer service starts from call one, continues into the field, and does not stop until the project is complete. Employees are the company, and each one reflects commitment to the customer. The results are evident by the number of referrals Straight Line receives from prior customers. “My desire to create raving fans is very important to me” says Borba. Additionally, the new roof is ready to support a Solar Photovoltaic (PV) system. With solar panels now achieving a 25 year lifespan, they are perfectly matched for the new roof providing a worry free future. Our recommendations start with a grant funded energy audit, suggested energy reducing upgrades that pay for themselves, and finally a solar electric system sized perfectly to the new lower energy demand. Always utilizing the latest technology, combined with frequent updated training, and achieving the highest level of vendor certifications, Straight Line serves the Northern California counties of El Dorado, Sacramento, Placer, and Amador. Only 1% of roofers in the U.S. have achieved our level of recognition. Another key to our overall mission is support of many of the organizations involved in our community. Recently, we hosted the 5th annual Thanks & Giving Event raising $6,000 for the Food Bank of El Dorado County. Complimenting this event is our annual Donate a Roof Campaign which provides a new roof or deck for a family in need with a failing structure. Youth sports and other organizations also benefit from Straight Line’s support and sponsorship. Building on the success of the company and with plans to add products and services, the Straight Line Team is excited to work with you in the future. Call us, or stop by our extensive showroom, to discuss your next project.